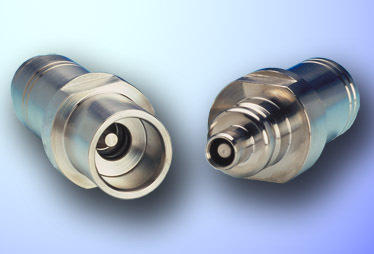 Low force couplings designed for use on a range of stabplates such as RIMS, Swing Bolt and 17H systems. This is designed to produce the minimum separation force at pressure, for a given bore size. The female coupling design features dual elastomeric seals with back-up rings, which are accessible for replacement when necessary. Size (NB) 1/4", 3/8" & 1/2"